More often than not, women are pigeonholed into dainty, sparkly timepieces and quartz movements. Yes, they’re generally light, pretty and reliable – and that’s great; but it’s the 21st century, and for some reason, we can’t get totally past these predictable, glitzy watches. And that’s a problem. Because for men and women alike, a timepiece is so much more than an accessory, it’s a reflection of your personality, it’s a cherished item, and it’s ritualistic. What women want out of a watch isn’t complicated. But, it’s also not as simple as a diamond bezel, rose gold band, and shimmering pearl-finished face. Today, women want durability, modernity, and something that fits their lifestyle. Here, we’re highlighting these features with some incredible timepieces built with the modern woman in mind. 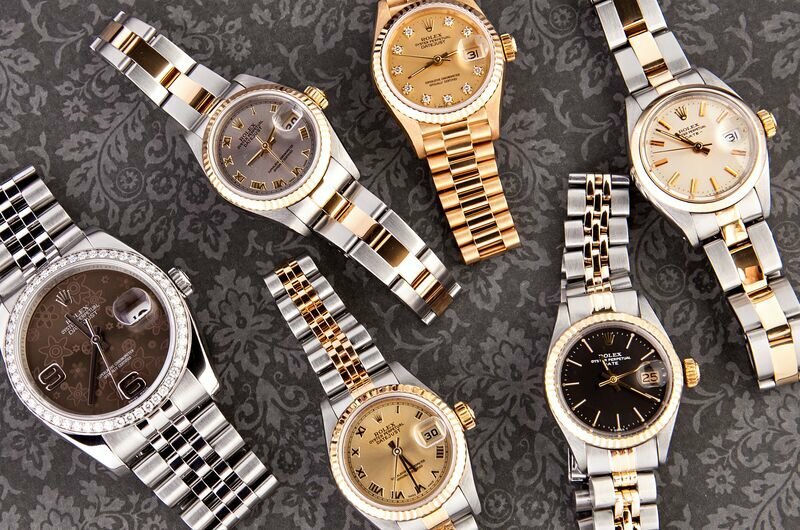 Rolex manufacturers a number of different Lady-Datejust watches that are perfect for the modern woman. 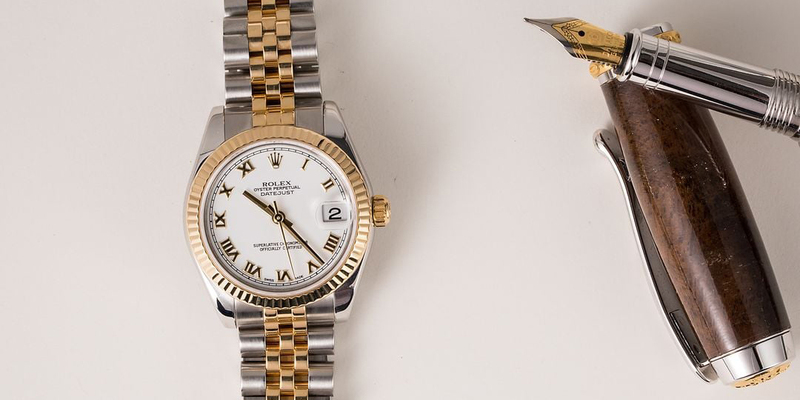 Rolex is the gold-standard when it comes to timeless luxury watches that can stand up to daily wear. Obviously a watch is an accessory that you can wear daily, but with gemstone-clad timepieces forged out of soft precious metals, you can probably guess that these watches aren’t going to withstand the daily wear and tear of work, life, the gym, kids, walking the dog – the list goes on. 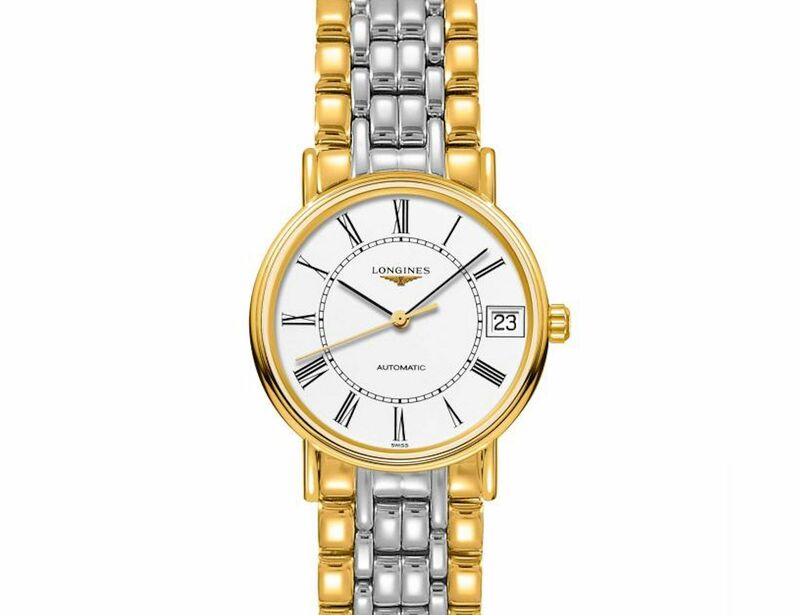 With a gold PVD finish, the Longines Présence offers the classic two-tone look without the price premium that accompanies precious metals (Image: Longines). Say thank you to the woman in your life by giving her a watch that she adores so much, she’ll never want to (or have to) take it off. Opt for sturdy stainless steel or classic two-tone (stainless steel and gold) – a Rolex Lady-Datejust is a perfect and timeless option; or for a more affordable alternative, the Longines Présence, which is stainless steel with a gold PVD coating. Longines executes this finish exceptionally well, creating a timelessly elegant watch that is going to last daily wear. And if you’re wondering just how strong this stuff is, the PVD coating is actually as hard as sapphire – second only to diamond in hardness – meaning that glimmering gold is going to look good-as-new for years to come. 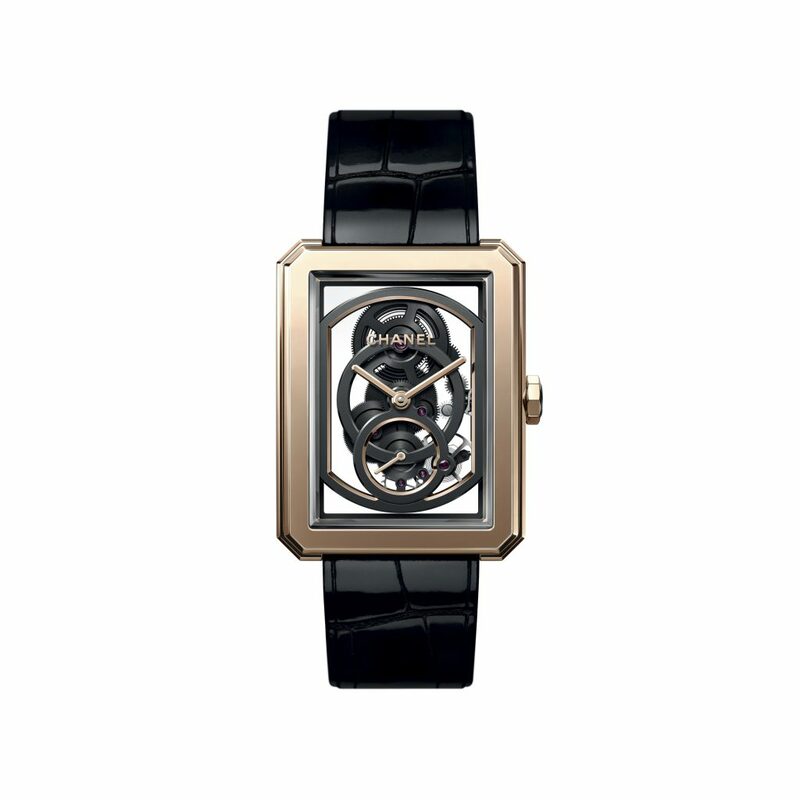 The Chanel Calibre 3 combines a serious mechanical movement with a bold yet elegant design, making it perfect for the modern-day businesswoman (Image: Chanel). While every woman should be treated with the respect of a queen, that doesn’t mean she wants to dress like one. So while diamonds, gemstones, and precious metals are always appreciated – they don’t necessarily always fit her lifestyle. The C-suite executive, for example, would probably opt for something a bit more serious, like the striking Chanel Calibre 3. The rectangular, beige-gold skeleton case is eye-catching without being glitzy – and the closer you look, the more you’re mesmerized. The unique, galvanically-grown, circular bridge design and wheels without spokes are only attached to the case at the top and bottom, making the mechanism look like it’s suspended in time and space. The sophisticated timepiece is then tied together with a classic black alligator strap that’s going to look great with a suit or freshly-pressed blouse. The NOMOS Orion 1989 offers classic Bauhaus styling in a smaller package that is perfectly suited for female wrists (Image: NOMOS). We all know what classic women’s watches look like. Chances are – she also already has one of these in her jewelry box. Today, women want something as modern as they are. For this reason, we’re all about the unisex trend – watches that walk the line of handsome masculinity and elegant femininity with great style and a substantial size. Rolex manufactures a number of excellent mid-size/unisex watches; however for a slightly less traditional look, the NOMOS Orion 1989 vis just one of many beautiful examples on the diversifying market today. But where to start? The dark, tasteful November gray dial? The minimalist gold hands and hour markers juxtaposed by a 32mm stainless steel case? 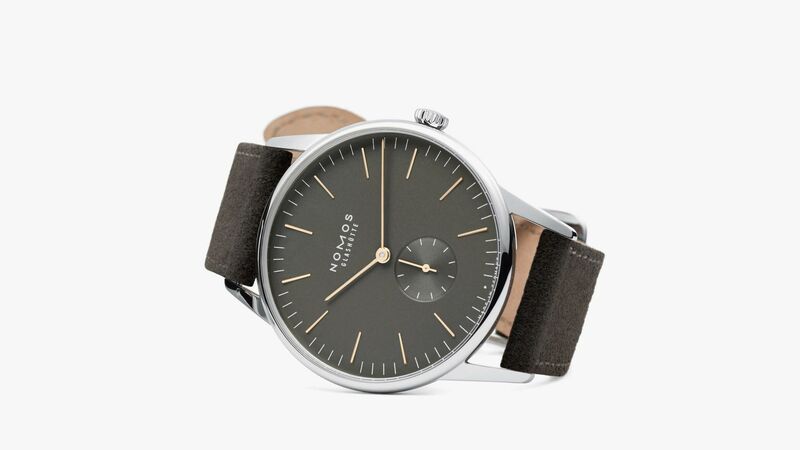 The in-house manufactured NOMOS Alpha calibre? Wherever you look first, you’re bound to go dizzy as your eye swirls the dial and makes its way to the clear sapphire caseback – displaying the automatic movement that keeps working so long as she wears it. 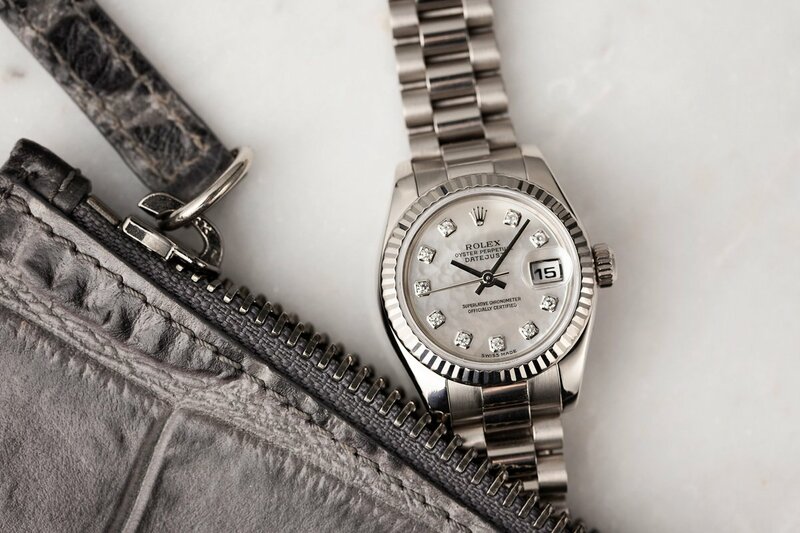 Even in white gold and with a diamond-set dial, a Rolex Lady-Datejust is a watch that is durable enough to be worn all day, every day.